Although each sustainability standard has its own primary goals, focus and verification systems, they largely share the same long-term ambitions and objectives, and incorporate environmental, social and economic aspects. 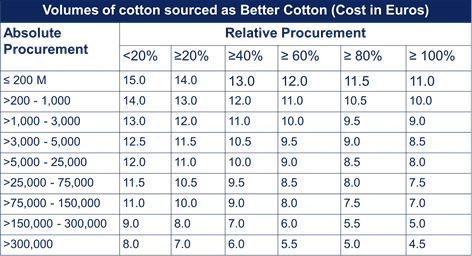 Most differences concern pricing schemes, regulatory/verification structure, and traceability. In this section we cover fibre standards. If you’d like more information on processing standards (which take into account the whole supply chain), please click here. 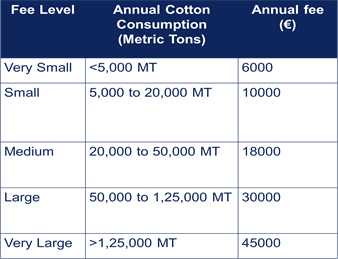 Different sustainability programmes face a variety of challenges, ranging from effective verification or traceability systems to cost effectiveness, and from achieving scale to driving uptake of sustainable cotton. To choose the right sustainability programme for your organisation, consider any specific strategic goals, such as water reduction, improved farming practices or increased farmer incomes. Similarly, think about whether your organisation has any specific policies, for example around traceability or organic products. With these questions answered, you will need to examine how the pricing models and application structure of different standards fit your requirements. We have summarised the major parameters over the next few pages, including application and audit processes, membership fees and structures, product premiums and traceability. The best way to find out more about working with a specific programme is to contact them directly. You can find all contact details here.